LAHORE: Punjab Finance Minister Makhdoom Hashim Jawan Bakht stressed on the need of bringing strong third tier government system with the existing one in order to collect municipal taxes and third tier taxes from the urban population. Besides, the government is focusing on increasing the new revenue generation measures from potential areas, including immoveable property and agriculture sector. ‘Agrarian sector is low hanging fruit which can double its GDP contribution within two years if the potential with proper development of linkages between the produce and its sale’, the minister said on the last session of the two-day conference of the Third Edition of Information Technology University (ITU) Centre for Governance and Policy’s Afkar-e-Taza ThinkFest here Sunday. ‘We need to establish the approach of paying taxes as we are happily paying Rs400 for cable TV while not ready to pay Rs200 for water’, he mentioned. The panellists in the discussion were former deputy chairman of the Planning Commission Dr Nadeem-ul-Haque and Monis Rehman. The title of the discussion was ‘The Economy and Business in the Punjab’. Hashim Jawan Bakht said Punjab gets 80 percent from federal divisible pool and collects 20 percent of taxes from provinces mainly through GST on services. However, he stressed the need of evaluating the public sector assets for public private sector partnership. To a question, he said the government was subsidising 97.5 percent cost of Multan Metro while only 2.5 percent cost was being recovered. Further, he said the government would continue the operation of public transport, but just looking the options to reduce the burden from the exchequer. He termed that metro projects ill-planned and economic viability was not kept in view while the projects were conceived. Dr Nadeem-ul-Haque speaking on the occasion said that the government was involved in all business and captured almost 80 percent of each market. In such situation, how private sector can grow, he questioned mentioning that top companies in stock market are government-owned followed by multinational. Similarly, there are limitations and approval problems for constructions in the city. ‘Lahore is bigger than New York City and has only two mega shopping malls. This shows how much potential Lahore and other cities have but unleashed”, he remarked. Nadeem-ul-Haque suggested that there should not be more than three taxes as now of 40 different taxes. Additionally, he recommended consolidated tax collection agency instead of number tax collection agencies in provinces and centre. 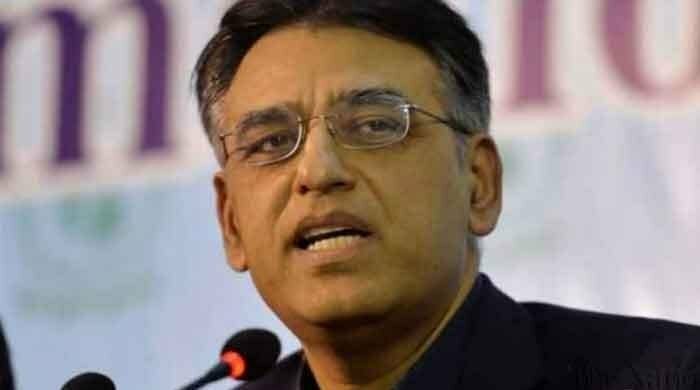 “Taxation follows the growth while the government is imposing the new taxes which are squeezing the economy”, he said adding that the government should stop squeezing the economy through new taxes, rather to give space to the business to grow. Once businesses will grow, tax revenue will also grow, he added. Responding to a question, Nadeem-ul-Haque said that public asset value Lahore is more than almost $1.3 trillion which included GOR, Mayo Garden, Secretariat and other government buildings in the most prime location of Lahore. ‘Fortress Stadium is one of the resources which were under-utilised with huge land’, he observed. Additionally, he stressed the need of bureaucracy reforms. ‘Our bureaucracy is not delivering in accordance with the need of modern state, besides shutting down the PSDP programme which is total waste of the resources”, he added. Monis Rehman said that technology was playing vital role in producing efficiency. He said there was need of technology transformation in the business and economy. He said the developed brands are making huge investment in e-commerce after getting though competitions from online brands. Number of clothing brands is developed which made their place through e-commerce without selling in any real store, he added.